Firstly, I am aware that this site has a MonsterArts discussion thread… however, it has very little information on the figures themselves, and the list of available figures is out of date and seriously incomplete. Therefore, I am creating a new and improved 2.0 thread that will include a greater amount of information, including a complete list of S.H.MonsterArts figures, pictures, prices, and availability. In addition, I will consistently be updating the thread with any new information on figure availability, upcoming figure predictions, and any new announcements that pertain to the line. For longtime collectors of the figures who want to discuss their favorite additions and hopes for the future, as well as people who are interested in starting a collection and don’t know where to start or just what is out there, I hope this thread will answer any questions you may have, and provide a place to discuss this stellar line. Stay tuned for updates, and let the discussions begin! Bonus Parts: Three Gravity Beams; Three stands and Arms; Effect Base; Flight Stand and Base; K.I.D.S. 1/4/15: Happy 2015, folks!!!! The first update of the year is not about the line itself, but rather some hosekeeping. 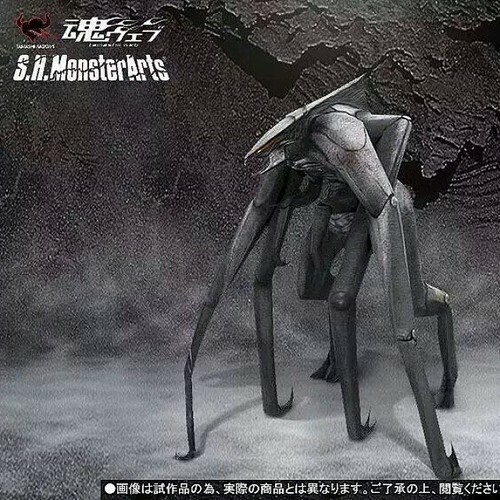 Firstly, the S.H.MonsterArts: The Articulation Series website has removed its Monster Forecast page (which teased three possible releases for a certain month, and featured a mixture of red herrings and, every so often, a figure that would be announced soon after), and so, I will be removing it from this page as well. Something is supposed to take its place on the site, but until then, the Forecast section on this page is less than useless. Secondly, in its place, I will be adding another feature from the Articulation Series website... Michael Shipman's incredible stop motion articulation walkthroughs! If you are unaware, these videos demonstrate the S.H.MonsterArts figures' movement capabilities with professional, film quality stop motion, and many also feature reenactments of scenes from the movies these monsters appeared in! I hope you enjoy watching them! Also, speaking of the articulation videos, Michael has confirmed tht the next video will focus on Godzilla 2000! 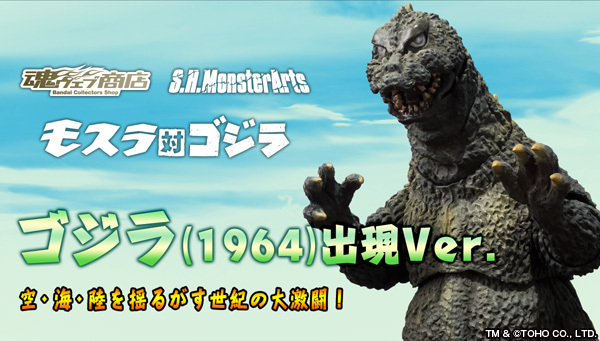 Stay tuned for its release, and for other MonsterArts updates in the coming weeks! 1/24/15: Two bits to share, and neither are particularly great. Before anyone freaks out... THIS IS SO FAKE ITS NOT EVEN FUNNY!!!!!!!! Here is the link to the Devientart page. So NO ONE had better be posting this saying "LOOK! S.H.MONSTERARS IS MAKING MUTO'S!!!! ", because that's how rumors start, and I don't wan't anyone misinformed and/or dissapointed. 1/26/15: A small, but important update for you Mothra and Battra fans out there... the stock of the Larva Set is now ALMOST GONE! This set is a web exclusive, and was therefore made in smaller quantities than the regular releases. After half a year on the market, the set is now almost dried up completely! Amazon currently only has 12 left. It says "More on the Way", but they also said that about the Imago Mothra... and no more ever showed up. So if you want it, BUY IT NOW!!!! Its a stellar set, with two incredible figures with great paint apps, articulation, and sculpts... especially Battra. Oh, and one other thing... after two months of waiting... KIRYU HEAVY ARMS IS FINALLY AVAILABLE FROM AMAZON!!!! Who knows what the hold up was, but he's finally there, and man... is he ever worth it! Plus, you save 4 cents!!!! WHAT A DEAL! Stay tuned for some pics of Gamera when the figure released in Japan at the end of the month! After nearly FOUR MONTHS, we FINALLY have a new reveal for the S.H.MonsterArts Line!!!! After making an appearance at the Tamashii showroom and just recently at Winter Wonderfest, Tamashii plans to release the Godzilla 2014 Spitfire Version as a web exclusive! This news comes courtesy of Michael Shipman of the S.H.MonsterArts: The Articulation Series website, who posted it on the Toho Kingdom Forums. At this time, price, release date, and the inclusion of the severed Female MUTO head (absent from Wonderfest) have yet to be confirmed, but it is known that preorders will begin for the figure on February 16th via the Bandai webshop. 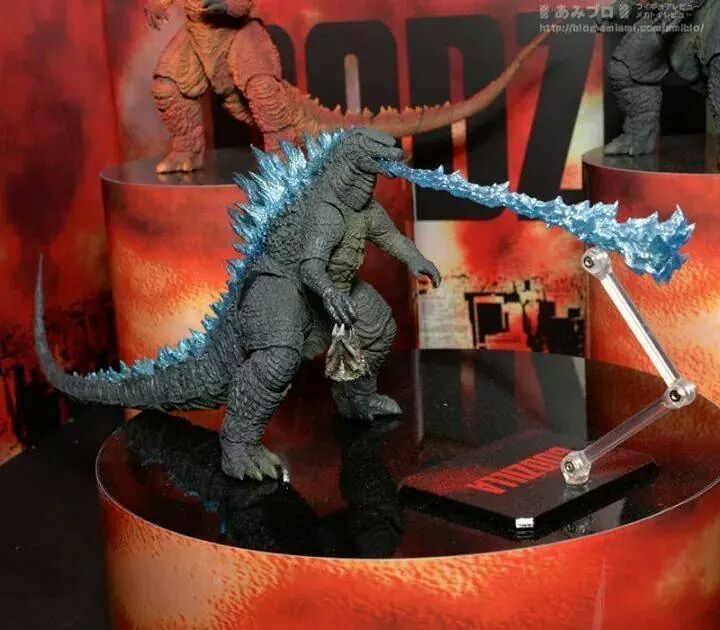 It is also unknown whether or not Bluefin will distribute the figure in the U.S., but they more than likely will, as they have with all previous MonsterArts releases sans the first two effects sets and the upcoming Godzilla 2014 Poster Color Version. Stay tuned for more news as it breaks! 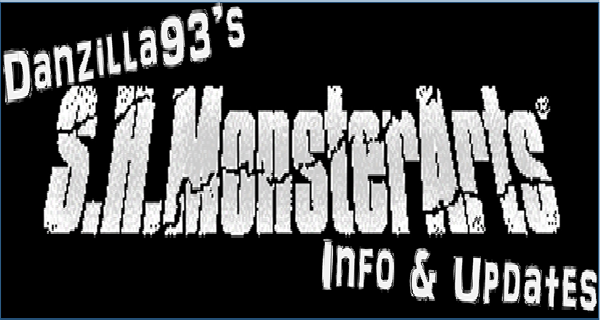 Thanks to Import Monsters, we now have A LOAD OF PROMO PICS!!!! CHECK THEM OUT HERE! 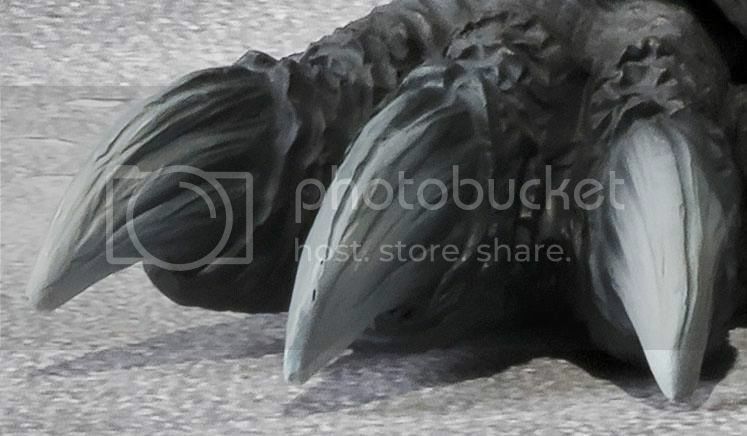 Thanks to those pics, the inclusion of the severed MUTO head is CONFIRMED!!!! The price in JPY is 8,000… meaning that the U.S. price will be around $80.99 or $81.99. The figure’s release date in Japan is July, meaning that if Bluefin distributes it in the U.S., it will be released in August here! 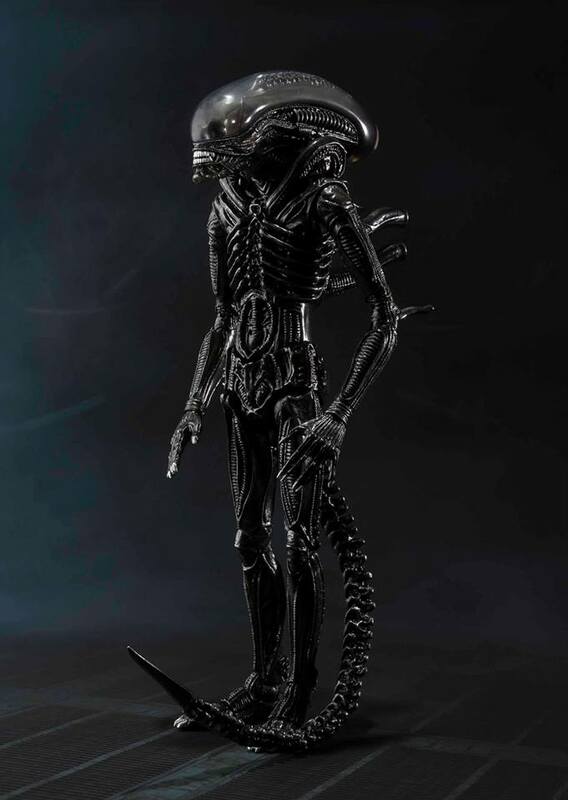 The figure’s blue spines are translucent plastic, meaning that in the right lighting conditions, they will glow! We still don’t know what its exact release date will be, what its official MSRP in USD will be, nor do we have confirmation that the figure will get a U.S. release at all. All of that should be revealed in the next few days. Be sure to check back for updates as the news breaks! 2/15/15: Three little bits of info to share with all two of you that check this thread! First and foremost, as of today, Gamera is officially out in the U.S.!!!! The collectors that already have one are unanimous: its a winner! Be aware, however, that there is a dock strike on the west cost that is delaying a TON of shipments. Many sites will not be able to deliver Gamera for quite a while (Amazon, as usual, is "Temporarily Out of Stock" right now), but you WILL get it eventually! 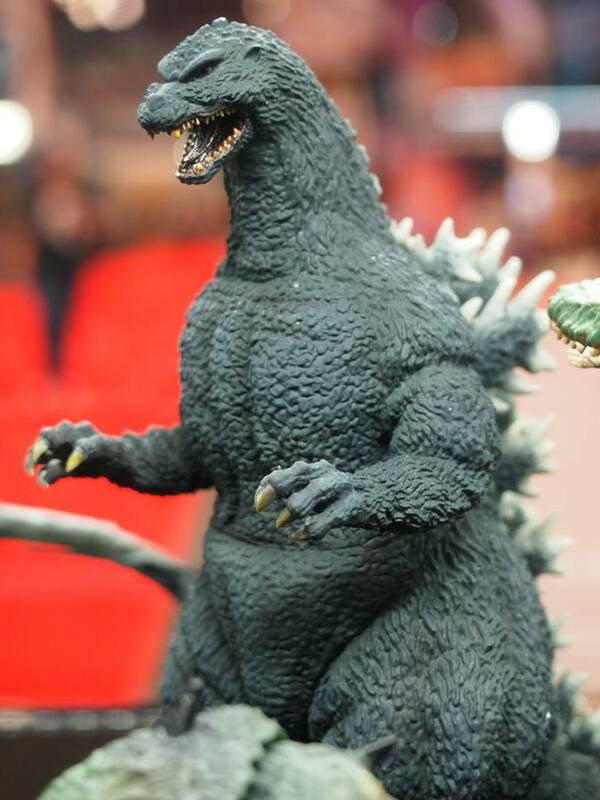 Secondly, pre-orders on the Godzilla 2014 Spitfire Version have started popping up! The price appears be $70.99 or less most places. If you are interested, pre-order it at Big Bad Toy Store! Last but not least, Tamashii was indeed at ToyFair, and although nothing new was revealed, we did get some cool pictures of the Godzilla 2014 Spitfire version and the upcoming Mecha-King Ghidorah! 2/24/15: After four months on pre-order (and a mere two days before selling out), the Japanese Godzilla 2014 Deluxe Edition Blu-ray and SHMA Godzilla 2014 Poster Color Version Set started shipping a day or so ago from Amazon Japan and, as of today, is listed as "In Stock" on the website! If you pre-ordred this Japanese exclusive, expect it tomorrow or the day after courtesy of DHL Shipping! And the good news is, Amazon apparently still has a few in stock! You may still get it for at or near its original MSRP if you get it now! Expect pictures onces consumers start getting their sets! 2/3/15: Last month was a big month for MonsterArts releases! Halfway through the month, Gamera arived in America. 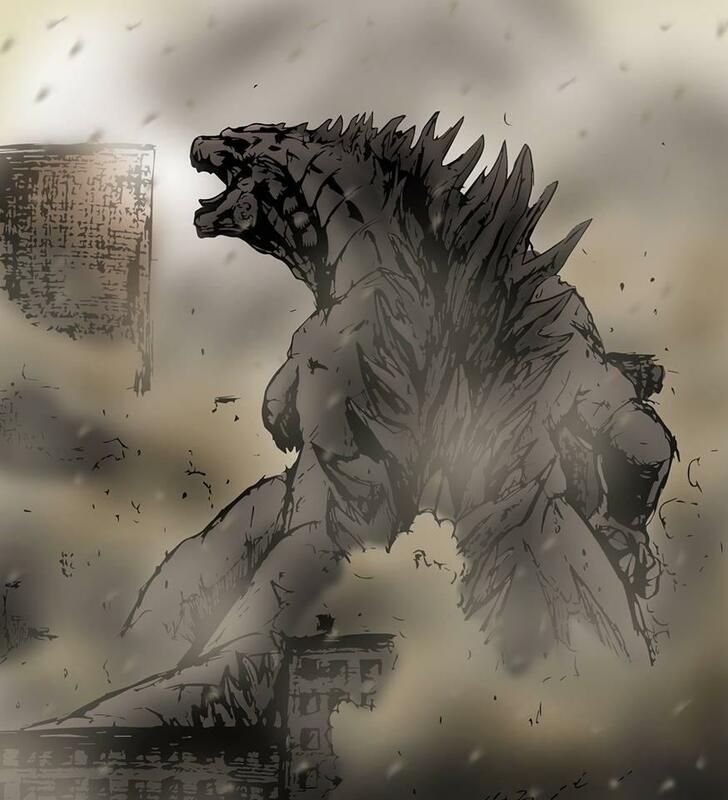 On the 25th, Godzilla 2014 Poster Color Version was released and shipped to buyers around the world! 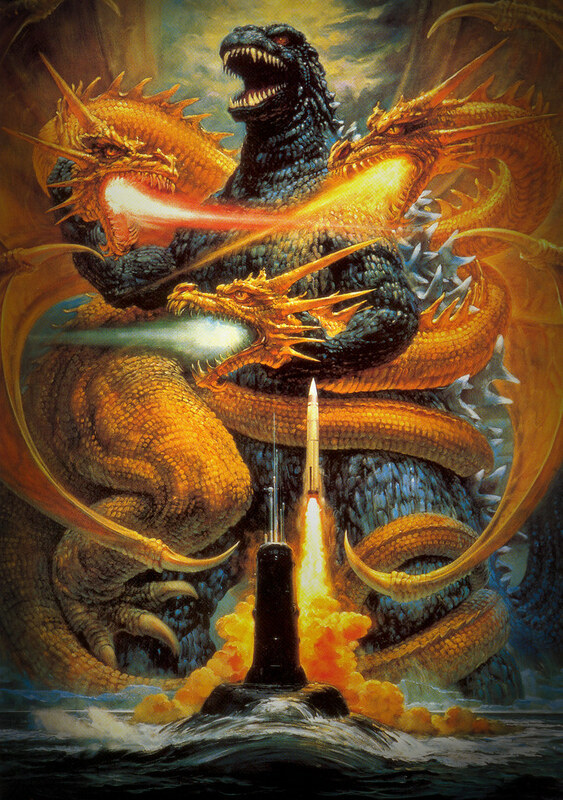 And at the end of the month, Meca-King Ghidorah was finally unleashed in Japan!!!! Pretty much all collectors are reporting that this bad boy is a winner! The wing joints are FAR superior to King Ghidorah's weak joints, and although a few parts are apparently pretty delacate, this release looks to be incredible. And at 200 bucks... it had better be! Check back shortly for images of both G14 PCV and Mecha-King Ghidorah in the hands of collecotrs, and remember... Mecha-King Ghidorah comes out here in the U.S. in two weeks! 3/15/15: As of today, Mecha-King Ghidorah is available for purchase in America! Yep, the dock strike... er, strikes again. 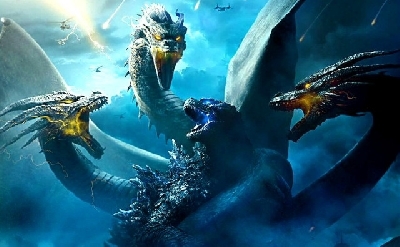 Mecha-King Ghidorah is gonna be delayed for, most likely, a few weeks. He could pop up in the odd comic book store here and there before he starts shipping from websites like Amazon, but don't count on it. Hopefully he and Gamera start shipping soon, so keep on the lookout for the fabled "In Stock" label to show up online! 4/6/15: A few things do talk about here. To start things off, Mecha-King Ghidorah is finally starting to pop up online for purchase, and should be pretty much everywhere in a week or two! The virdict from people who have him is clear... we've got another winner!!!! Be on the lookout for this stellar figure! In addition, Gamera is FINALLY shipping from Amazon! Get it for $72.76 today! 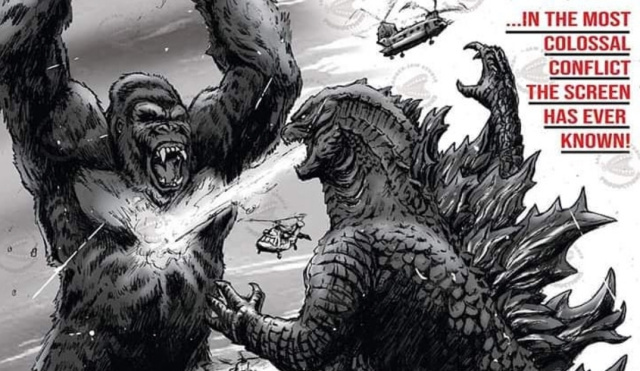 Next up is the news that Godzilla 1995 Rebirth (A.K.A. Adult Junior) will be reissued in Japan due to the massive popularity of the figure in its country of origin. It apparently sold out very quickly there, so this reissue will, at least right now, be for Japan only. Last but not least, after months of dwindling quantities, Destoroyah (Adult Form) and the Mothra and Battra Larva Set are officially OUT OF PRINT. If you missed either of these sets, you're pretty much out of luck if you want to find them at or below MSRP. Check your local comic book shops if you still need them for your collection! 5/10/15: ALERT! For anyone out there who hasn't gotten Final Wars Gigan, you might want to get on that soon. Only three major online retailers still carry this bad boy, and Amazon, who right now has the best deal for $66.55, only has 16 left in stock. If you want him, get him NOW! He's an awesome figure, and he'll only be MSRP for a few more weeks! Follow the link and get yours while you still can! Uh huh... HE'S GOT HIS ATOMIC RAY! More info on this beauty (price, release date, and other features) coming soon! 6/30/15: I'm a little late on this one, but Godzilla 2000 Millenium Special Color Version is officially out and readily available in the United States! 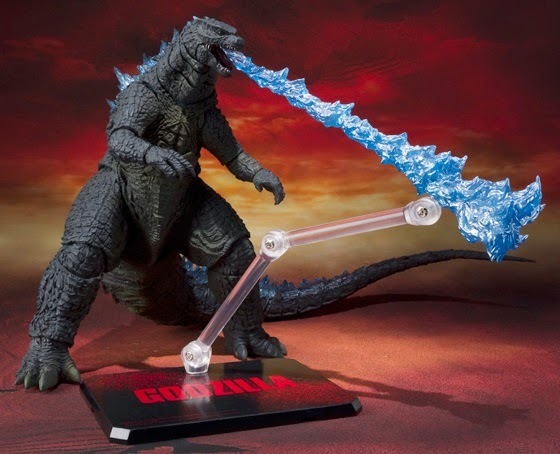 For those who missed out on the first Godzilla 2000 from the line, DO NOT miss this opportunity to pick this stellar figure up! Stay tuned for possible updates on the line as we approach SDCC! 7/15/15: Well, the year of repaints continues! We have a new announcement for the line, and yes... it somehow yet ANOTHER repaint. 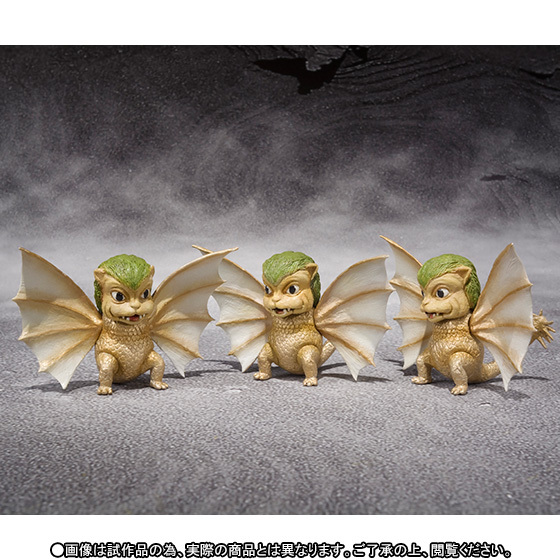 Kicking off 2016 in the US will be King Ghidorah: Special Color Version. Basically an excuse for a super welcome corrected rerelease of the wonky original with its infamously screwed up wings, this new version is basically identical to the original, save for a SLIGHTLY brighter gold paint scheme, and the inclusion of some sick bonus parts! 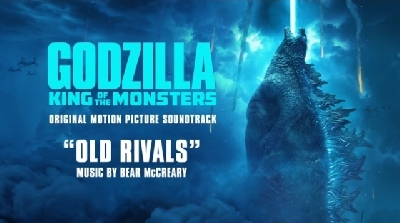 This version is based off of the beautiful advance poster art for Godzilla vs King Ghidorah, and as such includes a yellow, red, and blue beam, flight stand and base, and even a TINY K.I.D.S. time machine! For those who missed the original version, this is the perfect opportunity to rectify that! Look for this guy to drop next January, and have an estimated $120 ready to shell out. For images, visit my Official Scified Article on the figure! 8/18/15: Man, I am PAINFULLY late on this (personal stuff over the last week+ prevented me from sharing this the second it came out way back on the 11th), but just in case you haven’t read the recent Toho Kingdom interview with Tamashii Nations on the future of the S.H.MonsterArts line, here it is. I have to say, this interview completely baffled me and left me in a fanboy stupor for a few days. Without descending into “rant” territory (yet), here’s what we can take away from this train wreck of an interview. -Gamera sold well, and the line is set (hopefully) to continue. This is huge news, and a long awaited answer to a question fans have been asking since the beginning of the year. -The dry spell was explained, even though we all knew what the reason was. If you ask me, a lack of a movie this year is STILL no excuse for all the consecutive repaints, but hey… I’m just an American dude buying expensive Japanese plastic. -To start, the AvP figures are still in limbo pending any interest from the company in trying to improve the quality of the line. Dull surprise. -Here’s a bummer… despite the latest ones selling like gangbusters, no new effects sets are planned for the line. Crud. 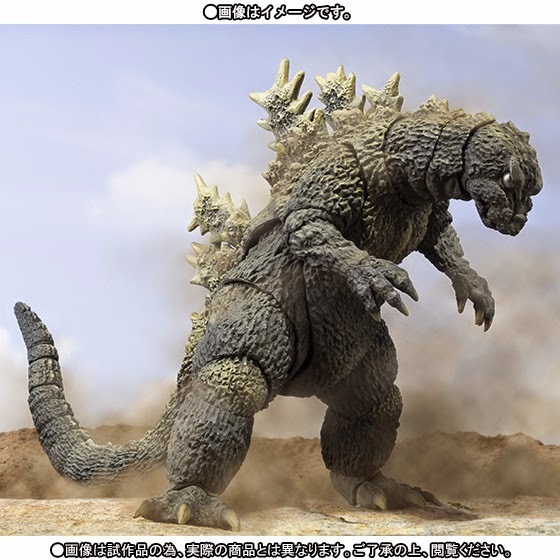 -When asked about the new PS3/PS4 Godzilla game possibly inspiring the creation of SHMA figures based on characters like Jet Jaguar and Hedorah, the answer was a definite no. So much for that. -Here’s a surprise… NO Showa planned. Millennium also got the shaft in the interview, so it’s possible this is one of those “positive ‘no comment’” things. We’ll see. -This interview all but confirmed that an S.H.MonsterArts Zero line is forthcoming, sooner rather than later. For those who don’t know, Tamashii’s S.H.Figuarts line recently spun off into a new line called SHFA Zero, which re-released previous articulated figures as static statues. These statues, featuring the same paint apps and scaling as their articulated brethren, are static display pieces that cost even more than the posable figures. THIS is where Tamashii intends to take the MonsterArts line: into statue territory. So what does all this mean? Well aside from the good news about another franchise joining the line, and Gamera’s success insuring possible future figures from his series, things are looking a little rough for the future of the S.H.MonsterArts line. Next year will most likely see Godzilla 2016 (and whatever enemies he may fight) join the line, along with a few new figures. But there will be no Showa, no accessory packs, no AvP, no Bio-Goji or Brown Rodan, almost no articulated figure in general, and (possibly) a crap-load of statues at the expense of the previously mentioned articulated figures. Personally, HERE is the problem I have with that last point… let’s name some companies that are making, or have made, Godzilla statues: X-Plus, Kaiyodo, Banpresto, about a million and a half model kit makers and sculptors… the list is endless. 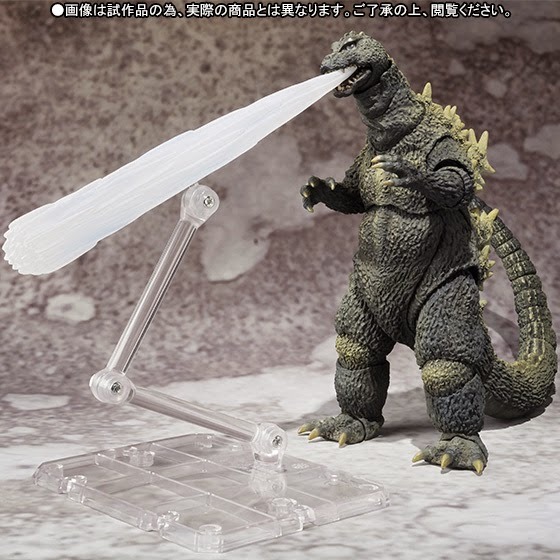 Now, let’s name companies other than Tamashii that are making super articulated figures of Godzilla and his (*ahem*, NECA…) monster costars: NONE. ZIP. NADA. BUPKIS. ZERO DIVIDED BY ZERO. 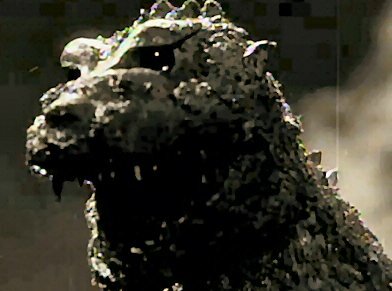 The closest is NECA, but in over a year they’ve sculpted a total of THREE Godzillas (the 1954 isn’t even out yet), and are contractually unable to release other monsters. So for the monsters at least, it’s Tamashii or bust. Speaking for myself, I collect and love this line because of the articulation. If I want a pretty statue with great sculpt and paint, I’m blowing my money on an X-Plus. The world doesn’t necessarily need another line of statues from the only company making articulated Godzilla and Co. figures. I don’t have a problem with an SHMA Zero line in principal, but it’s the introduction of this new line at the expense of the articulated figures that bugs me. You’ve gotta wonder about Tamashii’s decision making process on this one. If you made it through that wall of text, congrats. Be sure to stay tuned to this thread for updates on this whole thing as they come in. Let’s hope this news doesn’t mean the eventual end of S.H.MonsterArts as we know it, and that the next bit of news I post isn’t this glum. 10/4/15: Well, it’s been a while since my last update, but I’m finally back to tell you all that… there’s nothing to tell you. With the news a few months ago that Tamashii would be scaling back the SHMA brand and begin replacing the articulated figures with an all but confirmed ZeroArts statue line, there has been ZIP news to share. The last reveal was the Poster Color King Ghidorah nearly two and a half months ago, and although it is inevitable that at least a few more articulated figures will come out in the future, we have yet to see what those figures will be. Chances are, when one IS revealed, it will be another repaint instead of a new mold/character. Hard to believe that we are coming up on a year since the last new, non-repaint figure was revealed. However, I do want to share some availability changes for fans out there who still have figures in the line to collect. First off, after being on the market for years, stock for both Little Godzilla and the Destoroyah Evolution Set are nearly depleted. With it being the cheaper choice, Little Godzilla is heading towards Out of Print status faster than the Evolution Set, but it might be wise to get a hold of both of those while you can. Also heading down that road is Heavy Arms Kiryu (2003), whose stock is now limited to whatever is left in warehouses scattered across the country. Might want to think about grabbing him, too. Be sure to check this page again soon for a POSSIBLE (but, let’s face it, highly unlikely) reveal in around two weeks’ time. Will it be a statue, a repaint, or, dare we hope, a NEW ARTICULATED MOLD?! BE SURE TO TUNE IN TWO WEEKS FROM TONIGHT! 1/9/16: Welcome to 2016, MonsterArts collectors! As you all know, 2015 didn't end particularly well for the line, and news from Tamashii has been LESS than nonexistant. 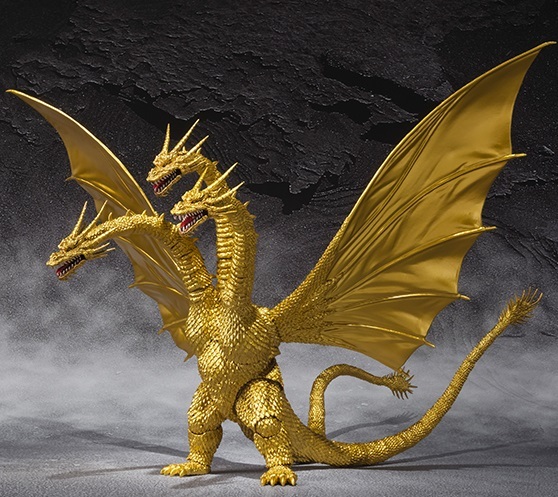 To further the overall feeling that the line really appears to be on its last legs, the final S.H.MonsterArts figure was just released in Japan, that being the Repaint King Ghidorah, with a North American release coming soon. However, it will be with little pagentry, as even Amazon isnt taking pre-orders for this uber expensive repaint. This marks an unfortunate landmark for the line... this is the first time that a figure has been released without ANY idnication as to what is o come next. Since the line started, fans have always had at least one or two more figures that they knew about coming in the following months, This time, nothing. This, combined with Tamashii's statements last year proclaiming few and far between articulated releases, and a move towards X-Plus style statues instead, has fans all but accepting the line's end. However, even with all of this taken into account, it is easy to forget that the line is NOT over quite yet. Remember, mixed in with all the bad news last year, we did learn that a new franchise was joining the line, and that new Gamera additions might be coming. That said, for the first time in OVER A YEAR, fans can get excited again for a new figure at last. Acording to Chris Mirjahangir at Toho Kingdom, a new figure (NOT A REPAINT) is expected to be announced within the next few weeks! Can I get a "hallelujah"?!?!?!?! 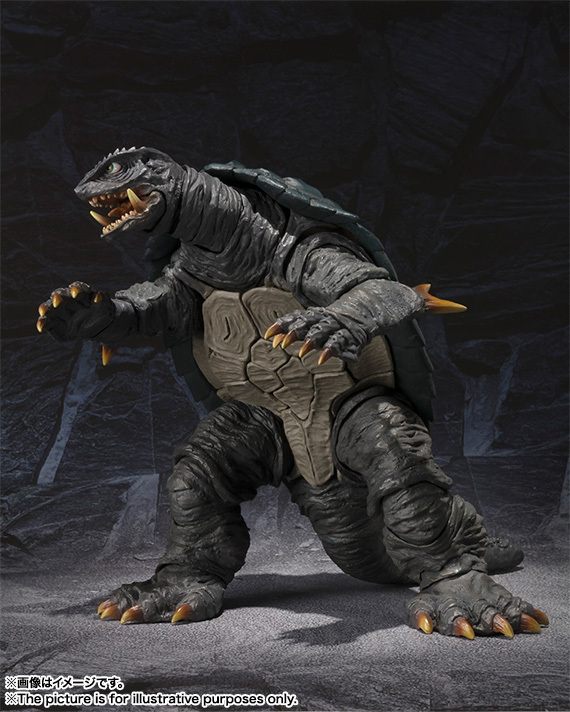 The last non-repaint figure released was Gamera, this time a year ago. Now the speculation can begin... who will it be? Will it be a new Gamera or Gamera foe? Could it be from this new franchise? Could it be another Heisei figure, or perhaps a Millennium character like Orga or Megaguirus? 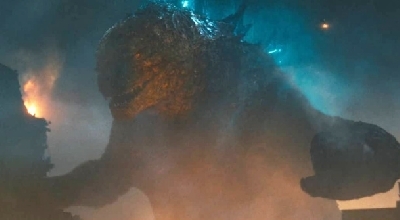 Or... could it be the new ShinGoji from this year's Godzilla Resurgence?! Be sure to check this page often for any new updates on this development! Several days ago, Tamashii teased the next ARTICULATED, NON-REPAINT figure it was rumored we’d be getting news of via Facebook. 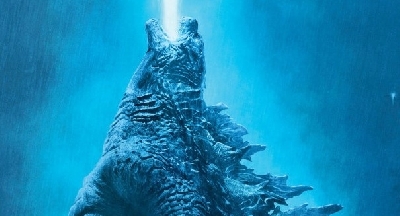 The tease stated that a new MonsterArts would make an appearance at ToyFair 2016 in New York, and then left an image to wet our appetites… the poster for 2001’s GMK. 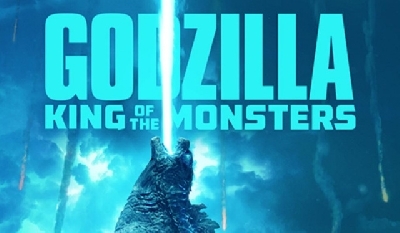 This immediately narrowed it down to an obvious four possibilities: Godzilla 2001 (a.k.a. 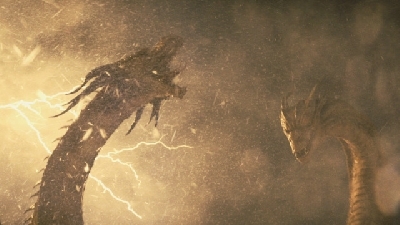 Sokugekigoji), and the GMK incarnations of Baragon, Mothra, and King Ghidorah. 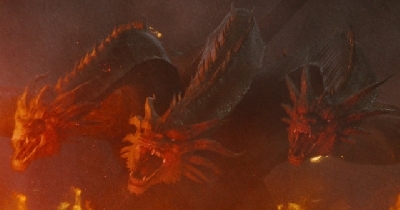 However, with Baragon cropped out of the poster image shown, the fact that a repaint of the Heisei King Ghidorah was just released, and the choice between the two remaining possibilities, it was pretty clear that the figure they were hinting at was an honest to goodness S.H.MonsterArts GMK Godzilla. 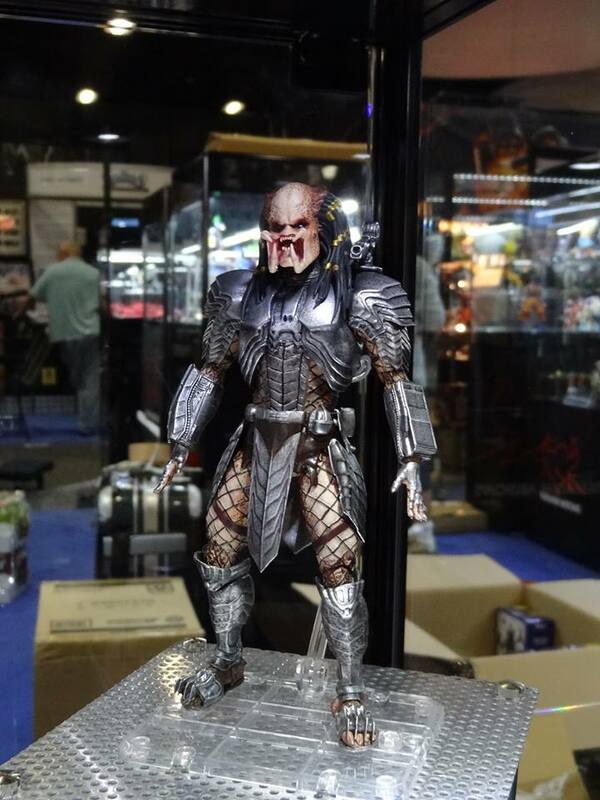 Supposedly this new figure goes up for pre-order next week, so pictures should be coming LONG before ToyFair! Stay tuned for more info and pictures coming soon! The link is to the recently released Jurassic World trailer. The last time a post like this was made, it was heavily implying the future release of a Gamera figure, and a few days later, it was announced that Gamera 1996 would be released in January (February in NA), 2015. With that taken into account, and combined with the fact that Bluefin (the NA distributer for SHMA) has been pushing for the creation of dinosaurs from the upcoming blockbuster, it seems all but confirmed that 2015 will see the release of at least one (or possibly several) highly articulated dinosaurs from Jurassic World, or perhaps even earlier dinosaurs from the previous films in the franchise. 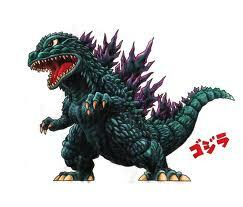 Also, I'll be posting images as time allows, so I can make this the untimate MonsterArts reference for you guys! I like how you also included Kong, Gamera and the AVP additions to the thread. After all they are part of the S.H. Monsterarts line. ^Excelent point! 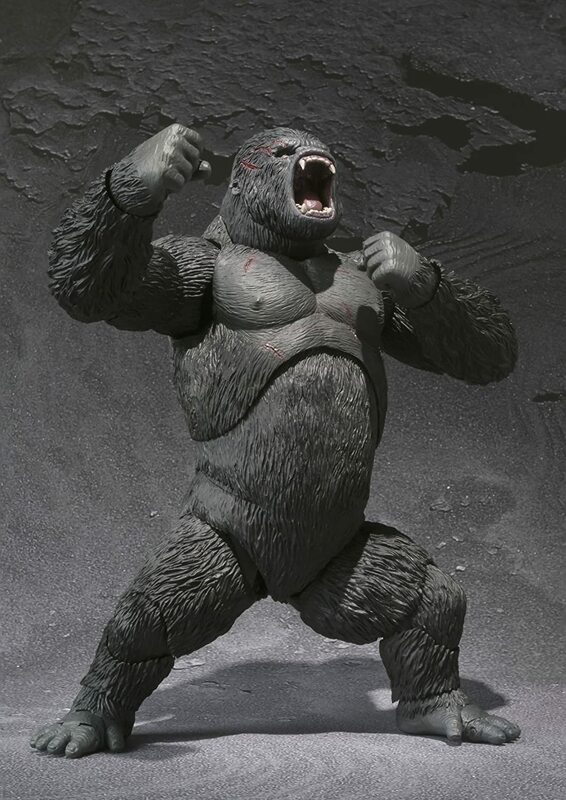 :D Bluefin has been pushing Tamashii for over a year now to make the V-Rex from the 2005 King Kong, but they haven't done it yet... perhaps with the new Kong film in 2016 they will revisit the property! 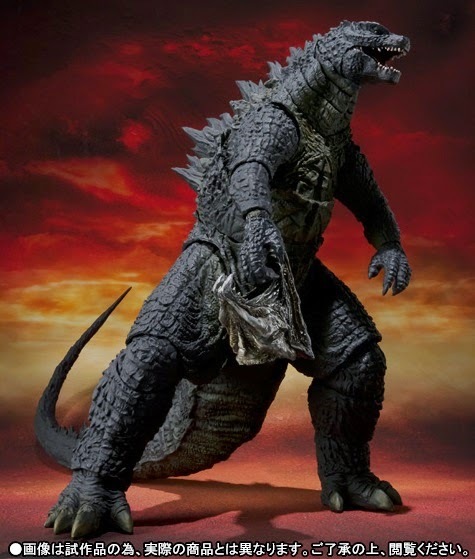 12/6/14: It looks like the next MonsterArts figure to go out of print will be Biollante. Her availability has changed to "Almost Gone"; the only NA retailer to still carry her is Amazon, and they probably have less than 100 of them in stock. Once she's gone, her price will SKYROCKET immediately from an already hefty $230 to hundreds more. I predict she'll be close to one thousand before too long. So if you want her, DO NOT HESITATE! Now is the time to get her or put her on your Christmas list to Santa! 12/6/14: For reasons unkown at this time, the release date of Godzilla 2000 Millennium: Special Color Edition, has been pushed back a month; for NA, the figure will now release in June, 2015, instead of May. The reason behind this is unclear, but its best to be aware of this if you preordered the figure and start wo wonder where it is when May ends and June begins. Stay tuned for a possible reveal between the 19th and 24th of this month! 12/11/14: Two recent releases to the S.H.MonsterArts line, Rebirth Godzilla (aka Adult Godzilla Jr.) and Godzilla 2014 are now at LIMITED STOCK status; this means that Bluefin, the NA distributor of the line, no longer has stock. over the next few months, these two figures will get even more scarce, and will most likely be out of print in a few months. Its time to start thinking about picking them up, or looking for deals, if you don't have them and still want them! We are getting close to a possible reveal, so stay tuned! 12/13/14 (AWESOME LINEUP OF NUMBERS!!!! *Ahem* Sorry…): Following the “Limited Stock” availability changes for Godzilla 2014 and Rebirth Godzilla, the Mothra and Battra Larva Set has also reached LIMITED STOCK status. Add this one to your Christmas lists… it’s a fantastic set! 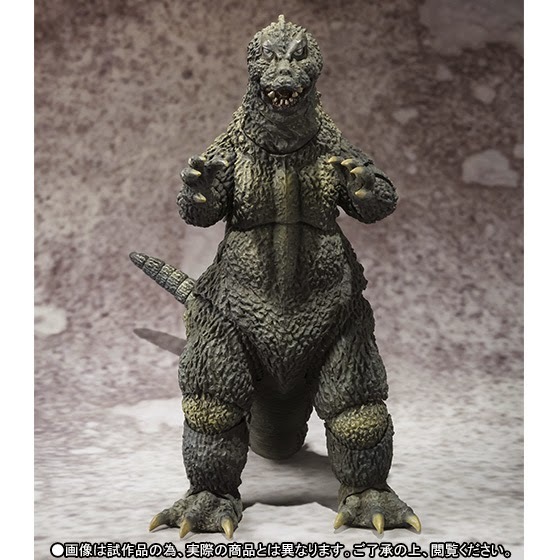 And Godzilla Junoir was on sale a while ago, but has since gone up. I'll be sure to let you guys know if he, or any other figures, go on sale in the coming weeks! Also, King Kong 2005 is nearing "Out of Print" status. It looks like Amazon is out, at least for now. If you find a deal, go for it! Holy cow!! Keep up with this danzilla! 12/15/14: Atention all Mothra lovers!!!! The adult Mothra (from 1992) released earlier this year is already nearing Out of Print status! Its availability is now ALMOST GONE. Amazon is running out, and stock at or below MSRP is dwindling rapidly. With the holiday rush, this figure is not expected to last until Christmas, or at least not long after. If you want it... GET. IT. NOOOOW!!!! 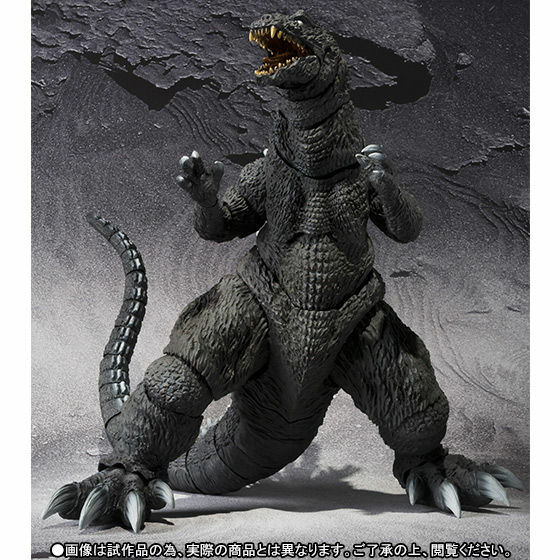 Its a steller figure, truly beautiful and a MonsterArts triumph. If you are interested, get her before she joins Battra in the Out of Print graveyard! 12/19/14: Several big things to mention here! Firstly, there have been three availability changes thanks to the holidays. Season shopping has reduced Bluefin's stck of Adult Destoroyah and Kiryu 2003 Heavy Arms Version to ZILCH, meaning they are at LIMITED STOCK. Destoroyah should last a while, but Kiryu, being a web exclusive, was made in fewer number, and will not last as long. Due to a shippment facility strike that has been going on for a few months, Amazon has yet to get Kiryu in, so if you want a deal, get him here. In addition, Mothra is officially OUT OF PRINT! If ou got her, kudos! If you missed out, keep your eyes peeled for a deal... but her prices will only go up from here on out. Lastly, we have reached the time of the month when new figures for 6 or 7 months out are announced. Nothing has surfaced in Japan so far, but is HAS been confirmed that there are no web exclusive figures to be announced for a May 2015 release. We are still waiting for standard releases to be anounced, so stay tuned for a possible reveal in the coming days! Hopefully by the next update, there will be a new figure to add to the MonsterArts roster! ^Excelent notion! :) Most of this stuff comes from Michael Shipman, who has connections to Bluefin and Tamashii. He posts this stuff on Toho Kingdom, social media, and his website, S.H.MonsterArts: The Articulation Series. 12/22/14: ALERT!!!! ALERT!!!! After more than a year on the market, the most expensive of all the MonsterArts figures, Biollante, is a mere 18 figures away from going out of print forever! The only major retailer to still carry her is Amazon, and as of right now, there are only 18 left in stock. After those are gone, Biollante is officially Out of Print! Her already huge price will skyrocket instantly to $450-$500, and will most likely hit $1000 before long. If you want it for Christmas and have accomidating loved ones, ask for it. If you have $230 burning a whole in your pocket, nows the time. Shes a wonderful figure, and if you can afford her, this is YOUR LAST CHANCE! In addition to this, we are approaching the cut off point for new releases... and insiders (i.e. people in Japan looking at magazine scans for upcoming Tamashii products and people in contact with the company) are saying that there will be no announcement this month for the S.H.MonsterArts line. With only four figures revealed for next year (two of which are repaints, and one of which is already sold out), it is likely that next month will see an announcement. GET BIOLLANTE NOW IF YOU SO DESIRE! ONLY 16 LEFT NOW!!!! In addition, we have two figures that are damgerously close to being out of print, but are still available at MSRP if you want them! They are Destoryah Final Form and MOGUERA. Destoroyah os currently sold out at Amazon, but one last shipment might be coming in before the figure dissapears completely. MOGUERA is down to 19 figures left at Amazon, and can still be found at several other online stores. If you want either of thee, whip out that Christmas spending money and GET 'EM NOW!!!! 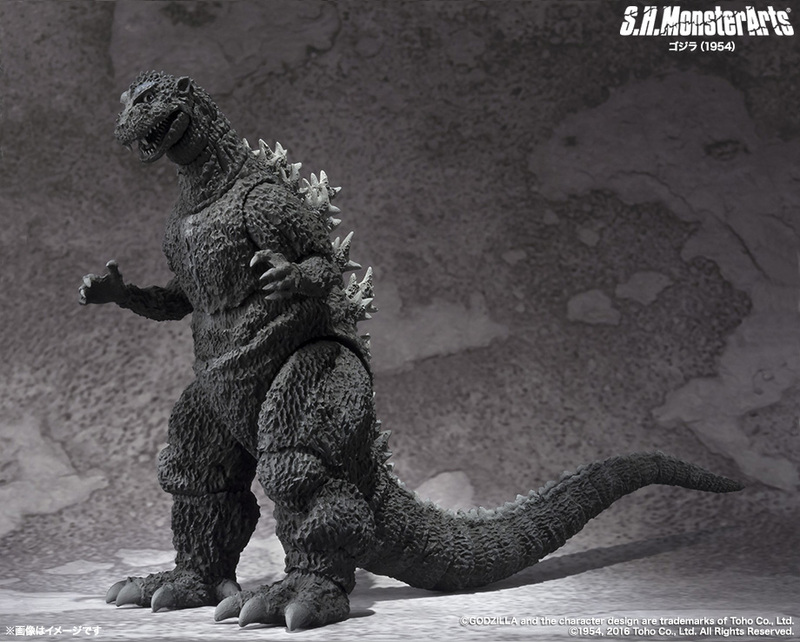 Lastly, Michael Shipman of the steller S.H.MonsterArts: The Articulation Series website, has revealed that 2015 will be a MUCH smaller year for SHMA than 2014 was... with only 4-6 Godzilla figures slated for release. This doesn't count figures from other series, like the Gamera 1996 figure and the possible Jurassic World figures, but it does mean next year will be scaled back. And remember, two of those Godzilla figures have been announced already. Stay tuned for the next reveal, which will hopefully be coming next month! 12/29/14: ALERT!!!!!!!! We have another figure that is only days or weeks away form going out of print! After all this time, Godzilla Junior has finally hit ALMOST GONE status. Amazon still has some, as do a few other retailers, but once he's gone, his price is gonna skyrocket! If you want him, folks... GET. 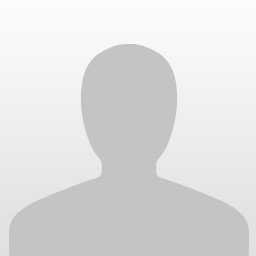 HIM. NOW. Out Of Print is kind of inaccurate. There is only one production run for these figures ( with a few exceptions ) and when that run ends, the figure isn't even released yet. The term OOP implies that they have had the run going still, but they haven't. A more accurate term would be Out Of Stock. I? I am a monument to all of your sins. I would definately buy an Indominus rex SHMA figure.